Some say it was the first concept album ... well, the title track was the album name and then they returned to the theme near the end of the album ... so perhaps it was the first concept of a concept album. Whatever the five of them did (yes, that's both George's), it hit the world by storm and music was set in a new direction. And it is still captivating, from the opening sound of the anticipating audience to that final massive E-major chord. Paul introduced the alter-ego concept of the old band becoming a new band without boundaries, and the doors swung open. John doing his very psychedelic Lucy Sky Diamonds ... oh no, it was just a song inspired by his little son's painting ... well, it could have been called 'Donna in the Morning with Trinkets', but those tones on the first 2 or 3 bars clearly define what the song is about. George M doing his magic with splicing tapes in Mister Kite, then George H taking listeners on an Indian mystic journey Within You. 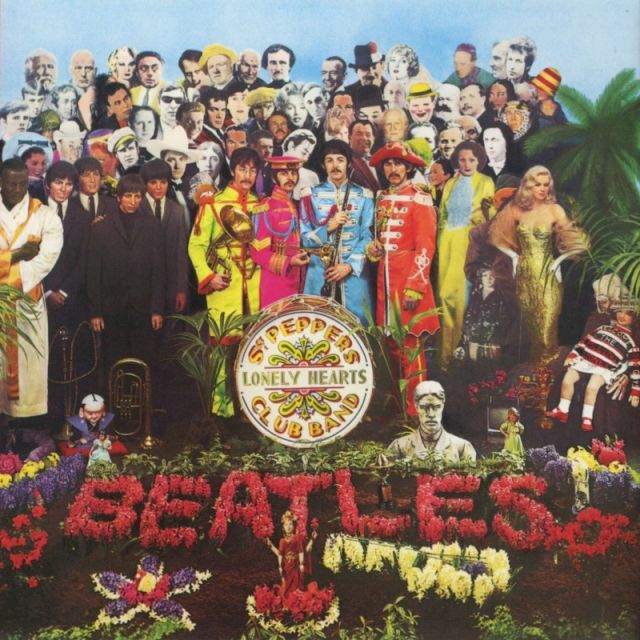 And near the end, finishing with a splendid collaboration of John & Paul In a Day in the Life ... absolutely amazing! Thank you Guys for such a wonderful work of art! 25th October 2014 - Jack Bruce died from liver disease. 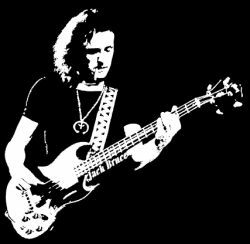 This musician, who started with classical training, played bass in the blues, rock and jazz genres with a very large number of other muscians - John Mayall, Gary Moore, Steve Winwood, Mitch Mitchell, Leslie West, Rory Gallagher, John McLaughlan, Larry Coryell, Billy Cobham ... to name just a few. But probably his most well-known time was with Eric Clapton and Ginger Baker in Cream. In that era, Jack was a significant force in the band: providing a powerful foundation to the music with his bass-playing. His jazz background as an improvisor came through in the live performances where the band embarked on exteneded versions of their well-known songs. 'Spoonful' on Wheels of Fire is an example of the improvisation in his playing. Jack also brought in his cello skills on this album in the fluid psychedelic number 'As You Said' with its haunting mellow tones that take the listener through a range of 'plateaus of listening conciousness'. And then there's 'Politician' ... years ago I was listening to it and someone disapprovingly said "Uh, it sounds like a slug." 'Yes!' I thought - I'm Jack would've approved. Alas, another great muscian that will be missed by so many with fond memories of his music. 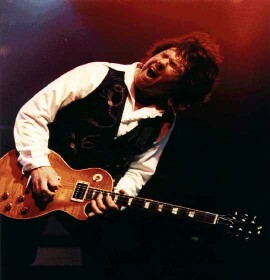 6th February 2011 - Gary Moore died in his sleep while in Spain. This guitarist for Thin Lizzy really made a name as a master of blues guitar. He played with such emotion and feeling - you can hear it in so many of his recordings. He also shows superb mastery of sustain in recordings such as Parisienne Walkways and The Supernatural. In the 90's, he joined Jack Bruce and Ginger Baker to form BBM (understandably some of the music has a distinct Cream feel to it). There is some absolutely amazing music here, such as "Why Does Love (Have to Go Wrong)?" - superb bass and drum backing to the incredible guitar work (hear Gary flick the pickup switch midway thru a lead break). "Naked Flame" is a soulful love song - after the singing, his guitar solo virtually breaks out in tears. The classic blues number "The World Keeps on Truckin'" is just one of so many examples of Gary's blues guitar work - the first few glorious notes just pull at your heart as it introduces the classic song. While known for some heavy rock playing, Gary Moore has many live recordings with some of the original blues masters: BB King, Albert King, Albert Collins, etc. One excellent example is the live version of "The Thrill is Gone" with BB King - some beautiful interplay between these two blues guitarists. Fare thee well Gary as you journey to the other side and join Jimi, Stevie Ray, Albert King, and all those guys who poured out so much feeling through their guitars. Forty seven years ago on 18th September 1970, an unfortunate mixture of lack of sleep, wine, sleeping pills, and medical misunderstandings resulted in the passing of Jimi Hendrix . . . and possibly his finding an answer to "Is this tomorrow or just the end of time?" In 1970, the world was only beginning to grasp with what this guitarist was doing to music. Forty years on, so many young folk are still being truly amazed at what Hendrix did back then, and it gives us old folk a warm glow of pride to have been around at the time when he was pushing back those frontiers of guitar music and technology . . . mixing the sweet warm mellow tones with the energy and power . . . pushing the valves in the Marshall amps beyond their normal working range to give that distinctive glorious sound of distortion. My personal journey with Jimi started as a teenager in 1968 when I first heard "All Along the Watchtower" on the radio . . . after those crisp rhythmic acoustic chords, this beautiful sweet electric guitar sound came soaring out of the intro . . . WOW! What an incredible sound! Then between verses, there was more, followed by that amazing lead break with bending notes, wah-wah, and exploration to new heights. That left me yearning for more. The second album I ever owned was "Are You Experienced". This got played endlessly, but the track that really touched my soul was "Red House" . . . that deep southern blues song is so full of feeling and soul, and again with more of that flowing and soaring guitar sound that is so much a part of the electric blues sound of the time. Voodoo Chile (blues version) is another Hendrix piece that always has me yearning for more. While there are shorter versions on You Tube (earlier takes), the 15-minute jam recorded on "Electric Ladyland" is such a memorable piece. Steve Winwood (keyboards)and Jack Casady (bass) join Hendrix and Mitch Mitchell on a musical exploration that grows out of quiet darkness and develops along a blues theme, building up to a certain point, dropping right back, building up again, and so forth. This piece takes you on a mystical journey, "a million miles away", "far away as Jupiter sulphur mines, way down by the methane sea" where a "humming bird hums so loud you think your were losing your mind", and you "float in liquid gardens". I don't like to talk about favourites, as it implies that other masterpieces are not enjoyed quite as much. But for me, one has to be "Machine Gun" from the "Band of Gypsys" concert with Buddy Miles (drums) and Billy Cox (bass). This is a lesser known piece by Hendrix, so if you are an enthusiast but have not heard it, then this is a definite must listen! There is another You Tube clip of "Machine Gun" showing original footage of the concert, but the sound quality is not as great as the one above (with photographic collage). 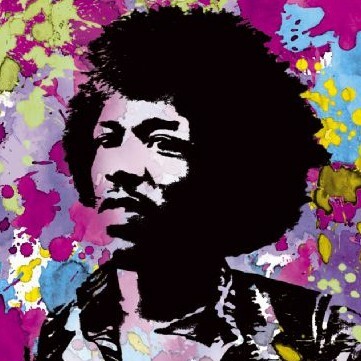 "Machine Gun" is an extended masterpiece by Hendrix, starting off quietly, then punctuated by the machine-gun drumming. This is carried on thru large portions of this piece, keeping it full of energy and power. But it is Hendrix's guitar solo that leaves one breathless . . . he just pours his heart and soul into it. He just stands there hardly moving, but from his guitar is a continuous out-pouring of pure music in its raw beauty. 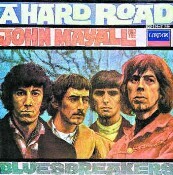 I recently played an old favourite that I first heard in 1970: "The Supernatural" by John Mayall & the Bluesbreakers, featuring Peter Green (Greenbaum). This piece shows what a guitar master Peter Green was back then. He creates such a sweet singing with his amazing control of sustain - this done to the subtle bluesy backing of the other band members (John Mayall, John McVie, Aynsley Dunbar). "The Supernatural" can be heard on You Tube. This music is an example of what Carlos Santana referred to as being "all emotion and grace" when he was talking about Peter Green's playing. Other classic pieces by Peter Green were "Albatross" and "Black Magic Woman" (written when with the original Fleetwood Mac) - these also show Green's "gracefulness" in his guitar playing. "The Supernatural" was also recorded by Gary Moore, and he too showed superb mastery of sustain that only a few guitarists have. Another guitarist with such mastery is, of course, Carlos Santana.